What can I say? 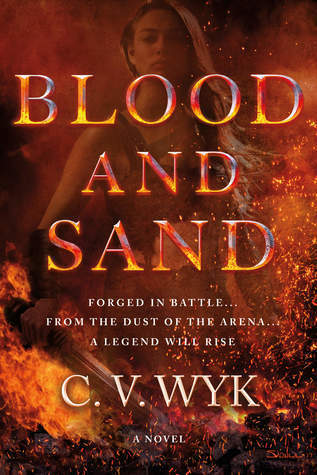 Ancient Rome historical fantasy is like my drug, and after the fantastic time I had with The Valiant by Lesley Livingston earlier this year, I’m feeling in the mood for more stories about female gladiators. OOoh interesting! that’s a new to me one! I just saw this and yes, it sounds great! Maybe female gladiator stories are becoming a trend?? Yeah, I was sorry to see The Valiant didn’t work for you, but hopefully Blood and Sand will be better executed! I hadn’t heard of this one but hope you get to grab it soon! What a great cover and it sounds really good. I haven’t read The Valiant yet but I know my library has a copy of it so I’m definitely going to grab it soon. Looks like I need to add this one to the wishlist too! Ooo yesssss, I just featured this one a few weeks ago! Definitely getting The Valiant vibes, which is cool. Speaking of The Valiant, where is The Defiant… we need updates. 😀 I hope you enjoy this book when you get the chance to read it! Where did this pop up from – I want it. I guess patience will have to be a virtue *said muttering under my breath.